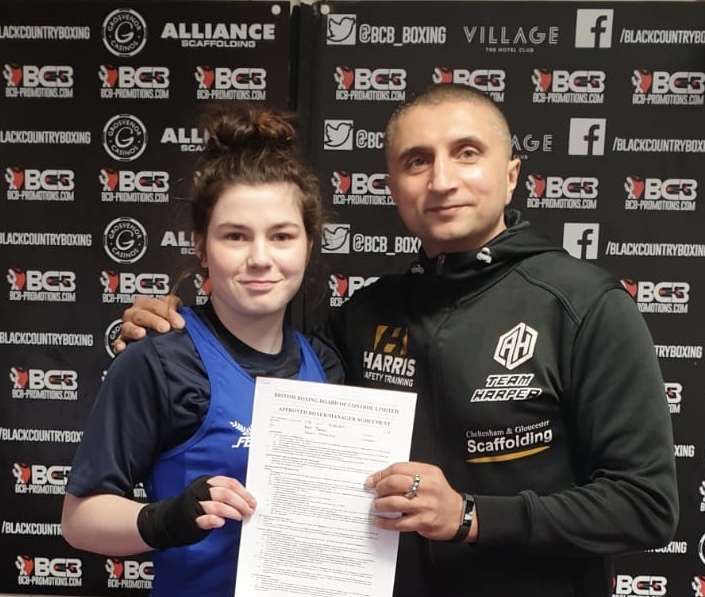 BCB Promotions are delighted to announce the signing of Amy Timlin. The teenage sensation becomes the sixth female boxer to join the ranks as she joins Kristine Shergold, Rachel Ball, Kirstie Bavington, Dani Hodges and Lauren Johnson on the BCB Books. Timlin, from Southam, Warwickshire, switched to boxing as a 17 year-old in 2017 having excelled as a kickboxer. During her time in that martial art, she won a British title, five nationals titles, and a Commonwealth, European and World title. During her time as an amateur she boxed out of Frankie Gavin’s Ringside Gym before deciding to make the switch to the paid code. “I can’t wait,” she explained. “I think the pro game will suit me as I like to sit down on my shots. I’m excited to be working with BCB and hope to make my debut in May. New Signing Khan Added To Stoke Show!